Marc S. Gaffrey is an AV-rated attorney by Martindale Hubbell and is the Supervising Partner of the Environmental & Toxic Tort Litigation Department. With his bachelor of science degree in biochemistry, Marc has been able to apply his unique background to the highly scientifically complex world of toxic tort litigation over his 28-year career. He has applied his knowledge to cases in asbestos litigation, toxic tort, mass tort and environmental matters. He is one of the few attorneys in the nation who is a member of the American Industrial Hygiene Association. Marc tries asbestos cases and oversees the trial teams of several of his clients both locally in NY and NJ and throughout the country. He has extensive experience in the litigation of toxic tort matters and mass tort litigation involving lead, asbestos, silica, talc, benzene, "sick building syndrome," latex allergy, PCB, diazanon, welding fumes, orthodichlorobenzene, trichloroethylene, and numerous other chemicals and pesticides. 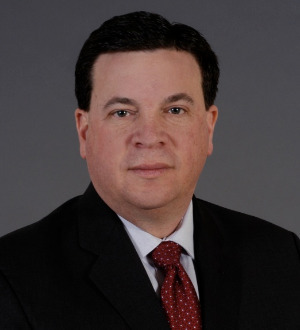 He has handled thousands of toxic tort cases in New Jersey and New York. Marc also has litigated numerous environmental matters involving fuel oil discharge, hazardous waste, Superfund site construction and remediation, and landfill clean-up. In particular, he assisted in the litigation of the landmark case of Ayers v. Township of Jackson and tried NJDEP v. Dimant which is currently the most cited environmental case in New Jersey. Marc has been named National Coordinating Counsel to multiple companies encompassing an array of business disciplines. He coordinates the defense of all asbestos-related matters throughout the country, including hiring local counsel and managing the files as well as retaining experts and maintaining relationships with them. He also has authored numerous articles in the toxic tort field and has been a frequent lecturer at both national and regional conferences including: Defense Research Institute (DRI), Perrin Conferences, New Jersey Defense Association, HB Litigation Conferences, Harris Martin, Worley, and NJ Institute of Continuing Legal Education (NJICLE). In addition, Marc routinely gives in-house seminars to clients and trade associations discussing the most recent trends and trial techniques in asbestos and toxic tort litigation. Marc is an Adjunct Professor in the Political Science Department at Rutgers University.